Quince & Apple is a Madison gem. It is a fairly new company, and completely fabulous. 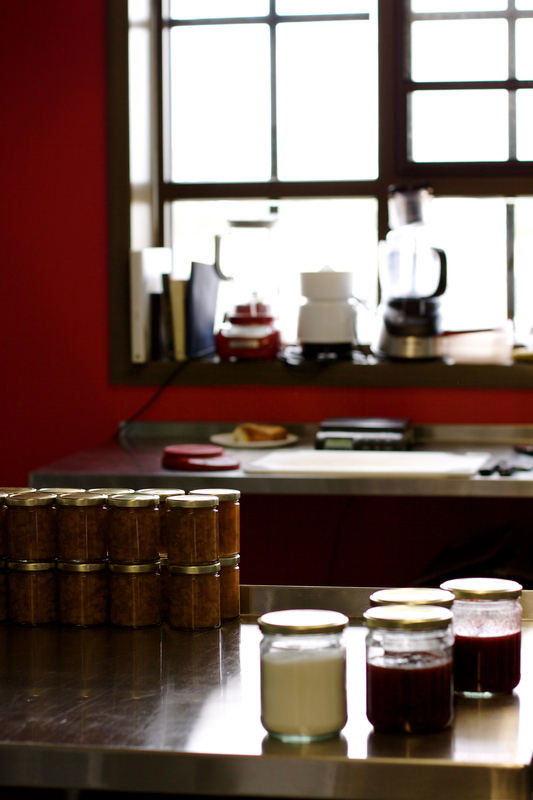 Founded, managed and staffed by two people (Clare and Matt) with a creative vision and obvious love of food, Quince & Apple creates small batch artisan preserves in their kitchen in the Madison Enterprise Center. 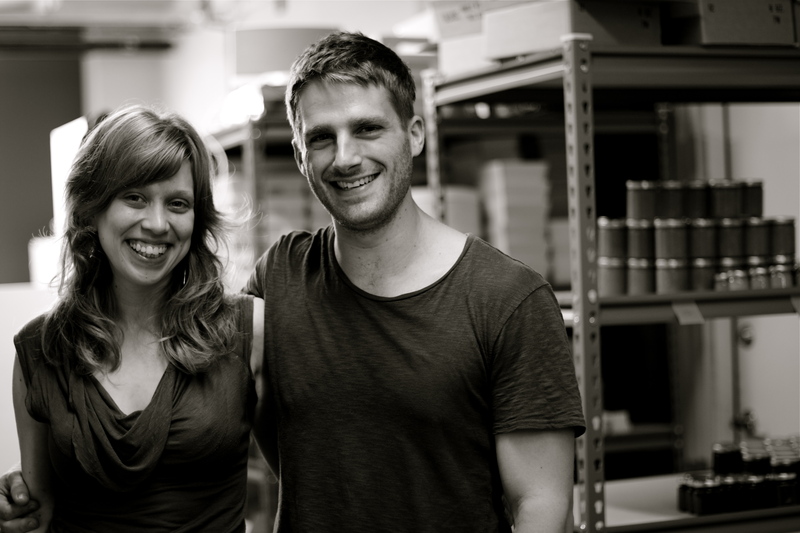 I was lucky enough to get a tour of their kitchen and to talk with Clare and Matt. How did I score such an exciting trip? I accompanied REAP Farm to School director, Lisa Jacobson, to talk about Quince & Apple becoming a part of this year’s Homegrown Holiday Fundraiser. First things first. The Madison Enterprise Center (as I discovered on this visit) is “a business incubator on the vibrant near east side” of Madison. Tenants find spaces with affordable rent and can use them for 3-5 years. The Enterprise Center aims to help new or expanding businesses (they must be for profit in order to qualify for the space) grow, which in turn will create more local jobs. In this case, the Enterprise Center is also supporting local food systems, since Quince & Apple sources many of their ingredients from the surrounding areas. It seems like a pretty great arrangement, and two of my other favorite foodie businesses in Madison (Potter’s Crackers and Just Coffee) also started out in this space. The Homegrown Holiday Fundraiser is one of REAP Food Group‘s many programs. It is a school based fundraiser, like the wrapping paper, candy bar or light bulb sales I’m sure many of you are familiar with. 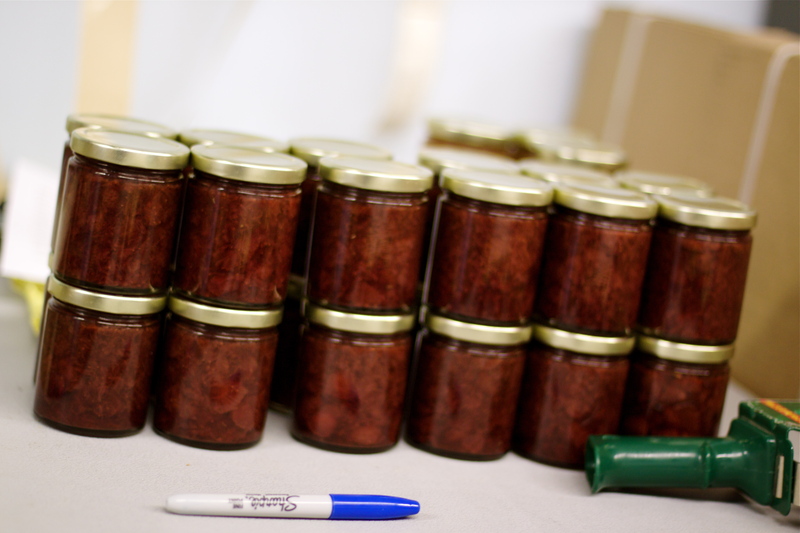 The important difference is that everything in the REAP Farm to School fundraiser is locally produced. Schools that participate in the fundraiser sell local products to raise money for their schools. Local popcorn, local cookbooks, local cheese (well, duh- this is Wisconsin), locally produced soaps… the list of available products is too long to include here. Some schools use the money to fund their Fresh Snack programs, school gardens, etc, while others use the money they raise in other ways. 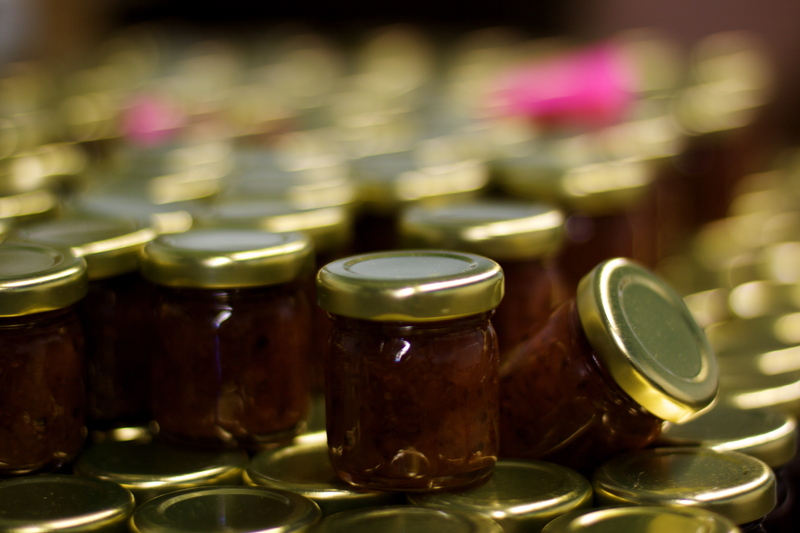 It’s a win for schools, and a win for local producers. I love a good win-win! 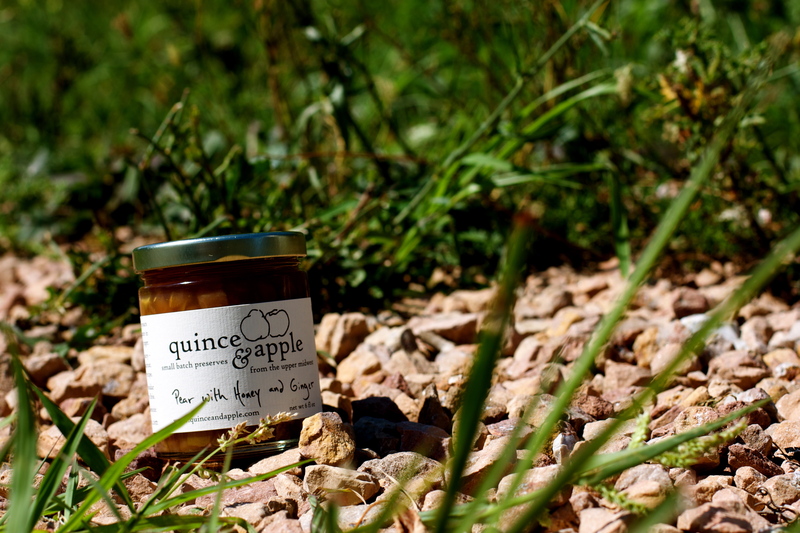 We’re revamping the product list for this year’s fundraiser, and Quince & Apple might become our new preserve offering. Exciting! As I mentioned before, Quince & Apple sources many of their ingredients from Wisconsin. 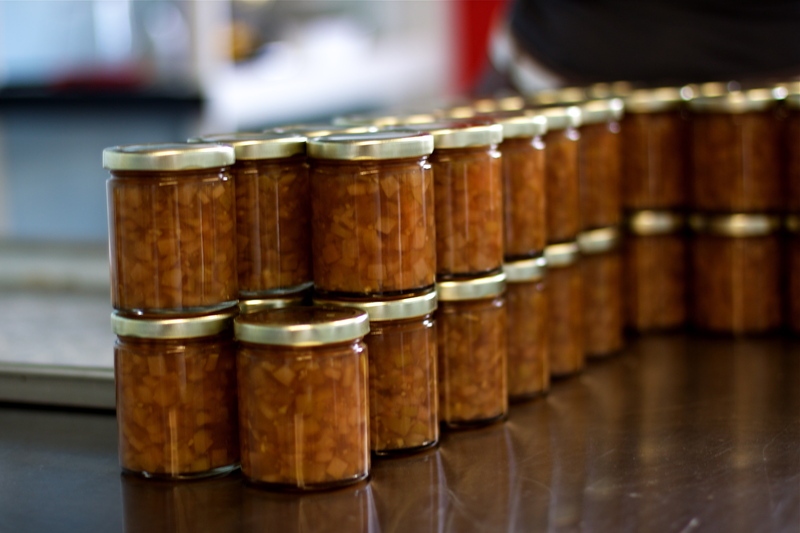 The preserve we’re considering for the fundraiser is the Pear with Honey and Ginger spread (pictured above). The apples that are included in this recipe are all from Wisconsin, as are the pears (the pears come from a man who has a mini orchard in his backyard!). The honey is also from right here in Wisco. It is absolutely delicious and I feel all warm and fuzzy inside whenever I eat it. One thing that drew me to Quince & Apple back when they first appeared on the shelves at the Willy Street Co-op is their unusual flavor combinations. 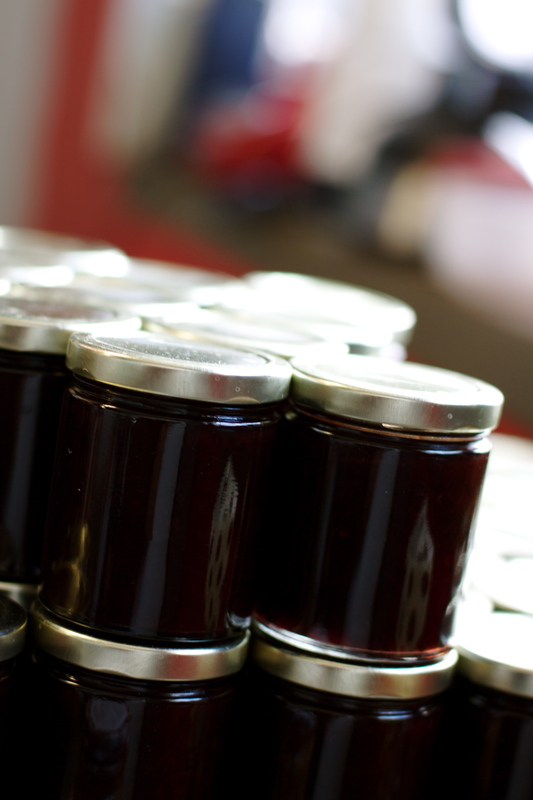 I’m a raspberry jam fan to my core, but was intrigued by Fig and Black tea preserves, Shallot Confit with Red Wine, and Orange Marmalade with Lemons. Matt and Clare also produce seasonal flavors, like this year’s Strawberry Rosemary. I also just really liked the aesthetics of their label, and the serving/pairing suggestions they discuss on the back. It was a pleasure to meet Matt & Clare. Matt had worked in a number of Madison’s higher end restaurants, but wanted to find a different outlet for his culinary passion. 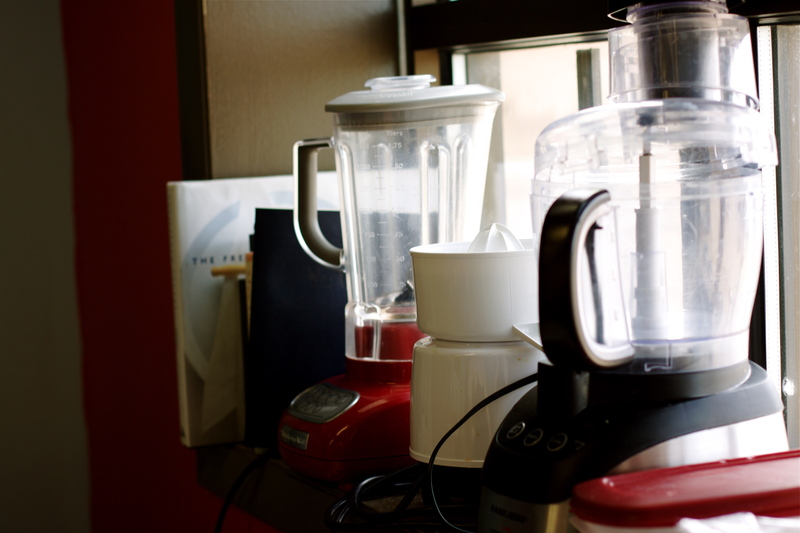 He and Clare conceived of Quince & Apple, and create all of these sumptuous concoctions in their small space. They say that new offerings are created one sample batch at a time, going through tons of tasting and fine tuning before finally being released to the public. That dedication to quality certainly shows. Thank you, Clare and Matt, for the tour, the samples and for considering being a part of REAP’s Homegrown Holiday Fundraiser! Pear with Honey and Ginger, freshly jarred. I took home one of these bottles, and it was HOT! Looooooove all these photos! Especially the one of Clare and Matt in the kitchen. I totally want to take their photo — they look so cute! Love that you are blogging so often. And it’s so good!! Heels in the kitchen? Oh my, my feet hurt just thinking about it! 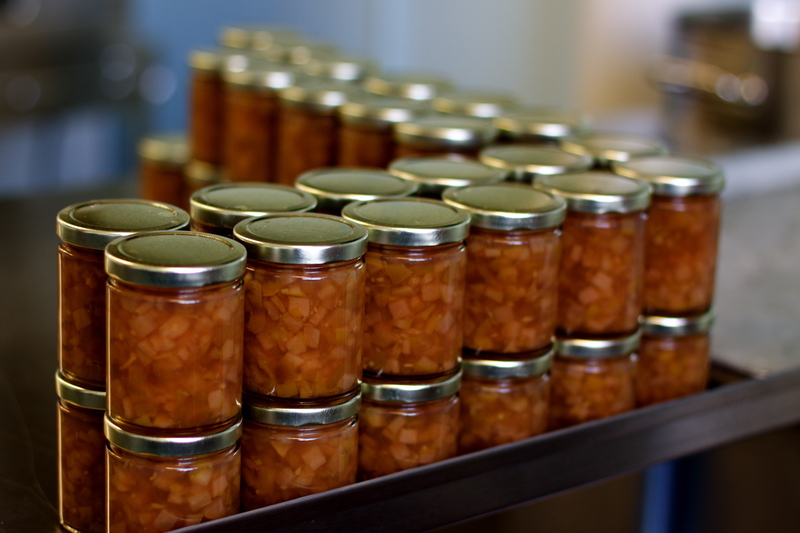 As I have 2 bushels of pears ripening in the back room, I’m intrigued by the pear honey ginger jam. They didn’t give you the recipe, by any chance? Ach, never mind. Don’t mean to bother you… I’ll go research it myself.